Here’s a complete tutorial on how to downgrade iOS 12.2 to iOS 12.1.4 right now on your iPhone, iPad or iPod touch. iOS 12.2 final is out now for everyone. But if you are thinking about downgrading back to either iOS iOS 12.1.4 then you can do that right now as Apple is signing the latter firmware. Once the signing window is closed, you’ll have no option but to update your device straight to iOS 12.2 only, which can be a good thing or a bad one depending on how you look at it. But for me personally, I would recommend sticking with iOS 12.2 as it brings quite a lot to the table in terms of under the hood changes and security fixes. 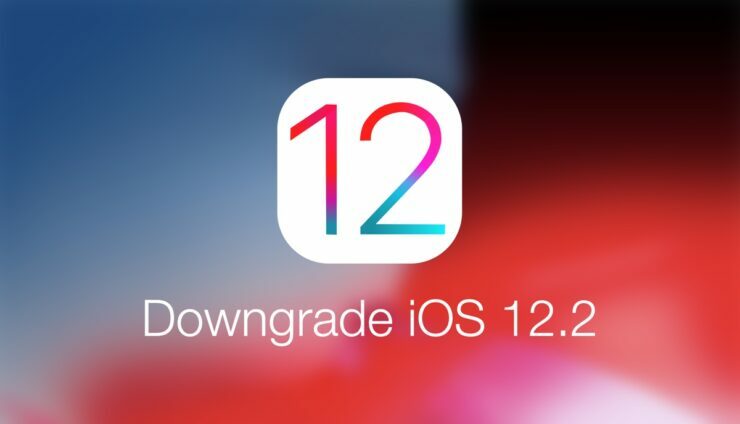 If you are willing to bypass all that for some reason, then downgrade iOS 12.2 right now, and we’ll show you how. Strong disclaimer: The downgrade process will wipe off everything from your device therefore take a backup of everything either using iTunes or iCloud. Having a backup of everything in a safe and secure location is always good practice. 2. Assuming you have everything backed up in one place, connect your iPhone, iPad or iPod touch to your PC or Mac using a Lightning cable. 3. Now launch iTunes and let the software detect your device properly. 4. Once your device is detected, it should appear as a tiny little icon in the top left hand corner of iTunes. Click on it to reveal more options. 5. Now hold down the left Option key (Mac) or the left Shift key (Windows) and click on the Restore iPhone button. 6. Select the IPSW firmware file you downloaded in step 1. 7. Let iTunes extract the firmware, install it on your device and verify everything with Apple. This may take a while therefore it is highly recommended that you do not touch your iPhone, iPad or iPod touch during the entire process. Once you are done with the installation, you’ll be greeted with the Hello screen on your device. Simply set it up as brand new or restore from a previous backup to get things up to speed. Congratulations, you’re now back to iOS 12.1.4. But remember one thing: if down the line Apple stops signing iOS 12.1.4 down the line and you are forced to restore your device using iTunes for whatever reason, then you have to upgrade to iOS 12.2.